In recent times, the US government led by President Donald Trump has confronted China on the issue of trade with a hostility that is unprecedented in modern times. Accusing China of stealing US technology and unfair trade practices, Trump has imposed tariffs on some US$250 billion worth of Chinese imports, or almost half of all Chinese imports to the US. While it is popular to regard Trump and his former chief strategist Steven Bannon (above) as madmen, there is actually a coherence behind the rationale for the US government’s actions as well as the strategy that they are executing. The two superb articles below from the South China Morning Post (a newspaper that I am increasingly impressed with – and they don’t even have a paywall!) gave me a much better understanding of the Trump administration’s actions and attitude towards China, and even a certain degree of empathy for them. Interestingly, the firebrand Steve Bannon also now strikes me as a deeply intelligent, thoughtful man. As you read these articles, ponder on the struggle between the forces of globalisation and anti-globalisation – is the seemingly inexorable trend of an ever more tightly integrated world about to reverse course? Steve Bannon, US President Donald Trump’s former chief strategist, says it was a book by two Chinese military officers that helped him conclude that “China was engaging in economic warfare against us”. Bannon, who claims to have been “one of the biggest China hawks” in the president’s circle of advisers even before the trade war Trump started this year, also called Beijing’s “totalitarian political and economic system” the root of the rivalry between the two great powers. Unrestricted Warfare, a book on military strategy by two senior People’s Liberation Army officers impressed Bannon when he read it in 2010. 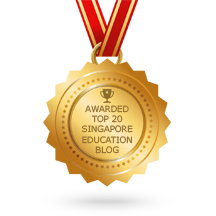 This entry was posted in Recommended Articles and tagged english tutor, globalisation, gp tuition singapore, gp tutor singapore, recommended tutors. Bookmark the permalink.